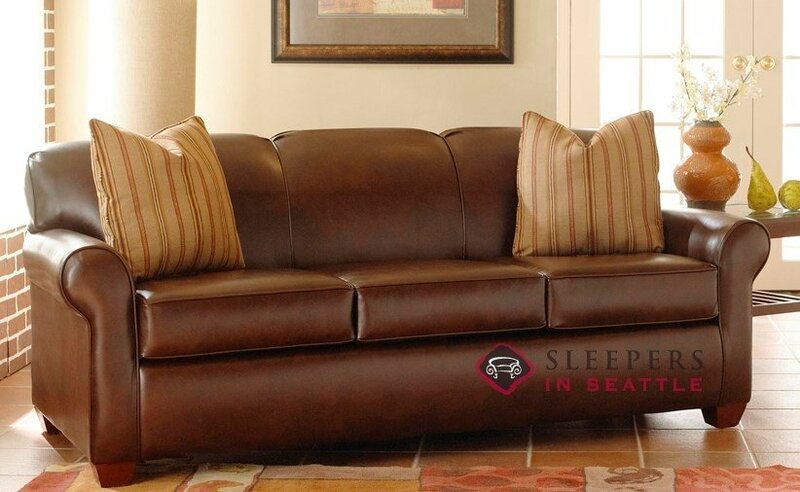 The grace of the Calgary Leather Queen Sleeper elevates this style into a class of its own. The design of the Calgary couples a clean, tightly-upholstered back with box cushions and wood legs to produce a distinctive fashion statement. 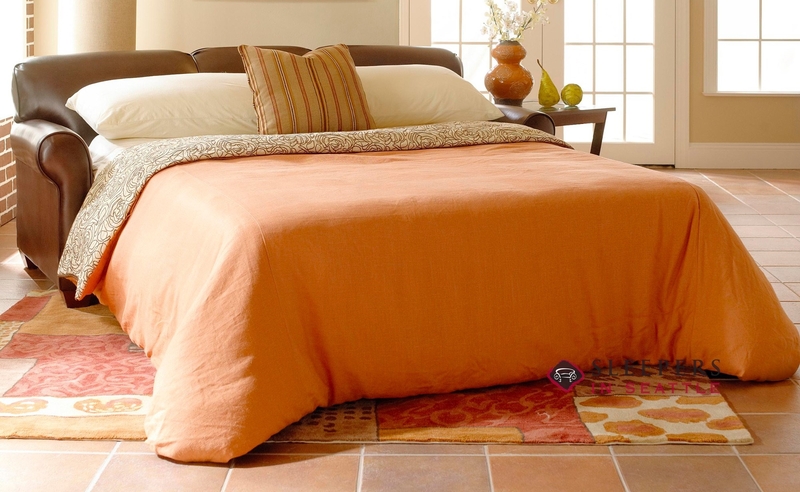 The Calgary is available in a wide range of top-grain leathers, as well as three mattress options. Loving every inch of my Calgary! Thank you David for all of your help. Your help over the phone was greatly appreciated. I'll be back with my future furniture needs as well. We love this couch. 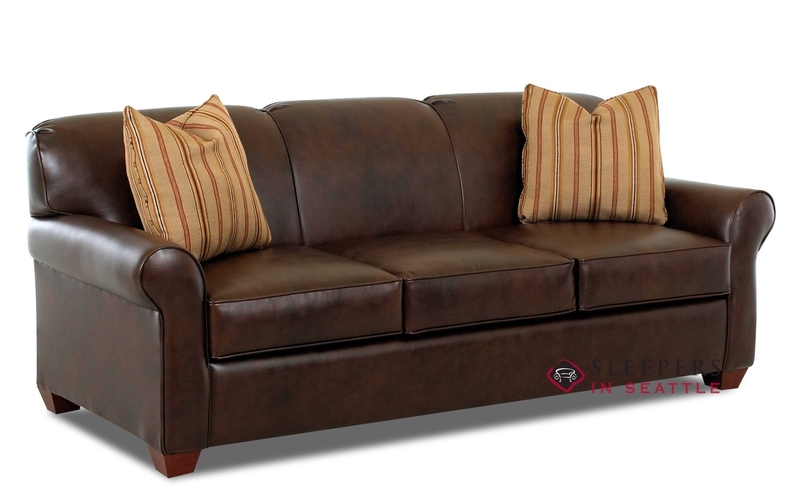 The leather is the most amazing color and the pillows have the coolest pattern. The cushions are just so comfy! We have gotten so many compliments on this new addition to our house. Honestly, I had never heard of Leather Living until I cam across the brand on your site. Since then, the only furniture I've bought has been from them. This is the third Savvy product I've purchased and I think it's my favorite. The subtly rolled arms, the high seat back, everything about it is dripping in class. I'm very happy with this and my other purchases, I will definitely be back in the future. 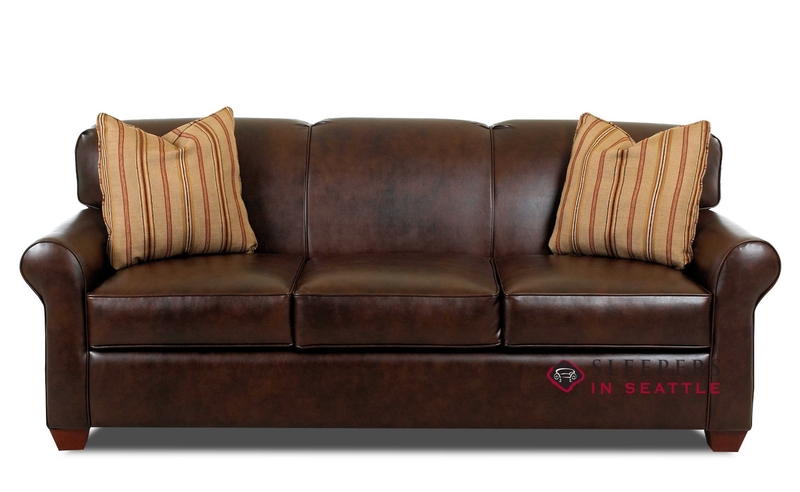 Yes, the Calgary does have a matching loveseat. 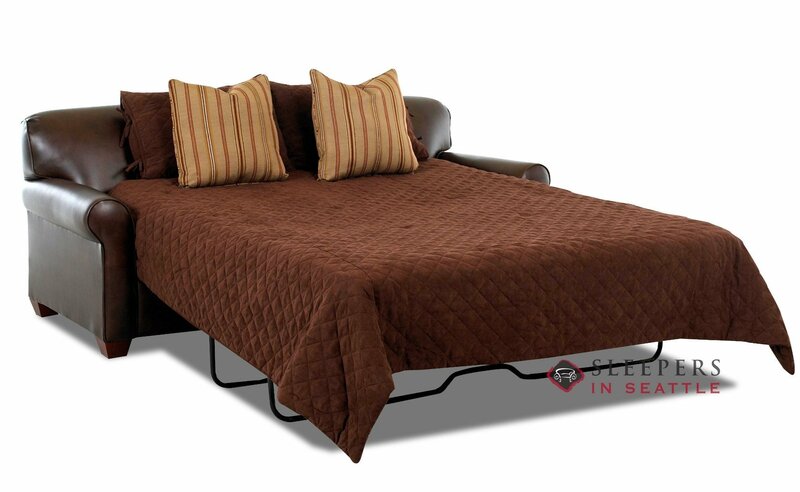 If you scroll down, you will see a row of products titled Related Furniture. There you can view all Calgary items. In the description it’s stated there are 3 mattress options. What are those options? 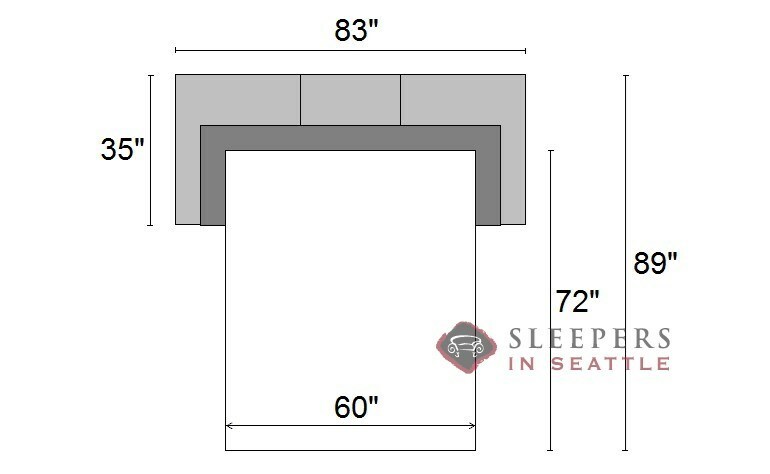 Our mattress options are displayed in the Design Center, after you click on Start Customizing. Mattresses are displayed underneath the Upgrade box. 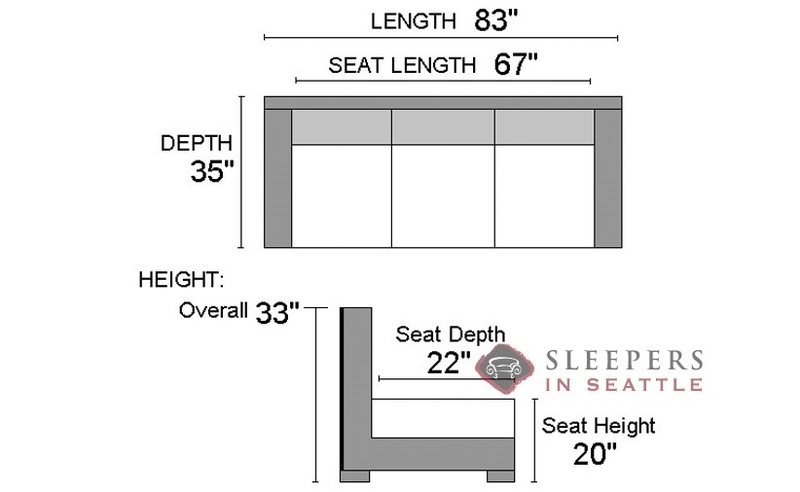 What type of bed frame is in the Calgary? Does it have a bar that crosses the back when open? or the new mesh sling type? The mechanism in this model is vastly improved, with the bar moved far away from the small of your back, amd a sling across the top to support the (also vastly improved) mattress options. What is the leather and color of the actual sample in the first sample picture before customization? The leather shown in the photo is Chesterfield Whiskey.